Last week North Florida Research and Education Center - Suwannee Valley (NFREC), hosted Twilight Corn Field Day 2018. The event covered topics from corn production to irrigation management. Twenty percent of Florida’s farming happens in the region served by NFREC, an expanding research venue currently involved in some 50 projects. 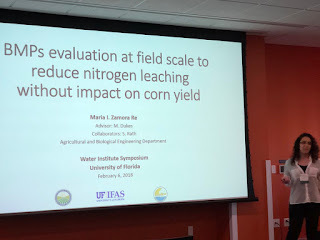 UF-ABE PhD candidate Maria Zamora attended the field day event at NFREC. Her work with corn best management practices is closely related to the topics presented at the event. She agreed to discuss her field day experience with IrriGator. As a researcher and also an extension educator, what do you feel was the objective of the Twilight Corn Field Day? 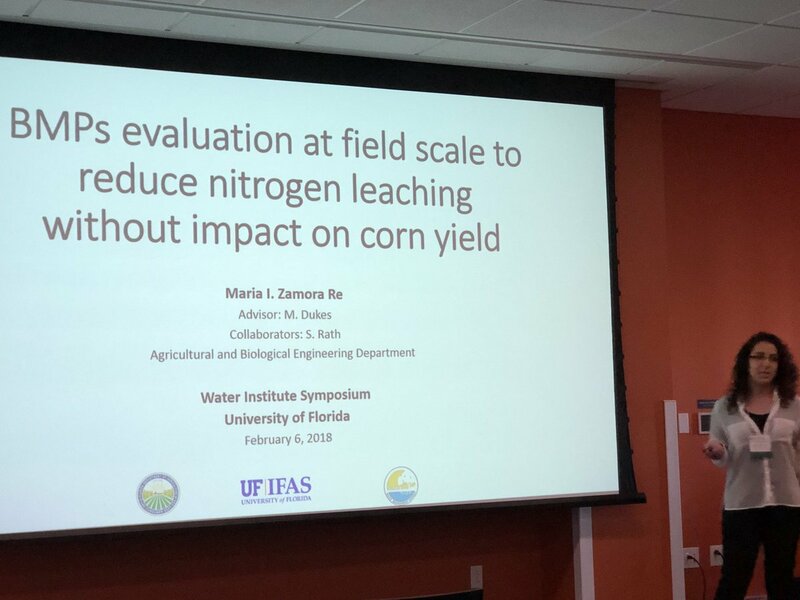 MZ: The most important objective overall was to let growers know about the urgency to adopt best management practices (BMP) for nitrogen (N) reduction loads in the Suwannee River Basin. The target of the Santa Fe, Suwannee and Withlacoochee​ Basins of 0.35 mg/L monthly average nitrate concentration must be met in the next 5 years.​ According to the new basement management action plan (BMAP), these basins are a susceptible area for nitrogen leaching in which action must be taken. As a researcher the most important objective was to provide research information and results from research experiments performed at the Center to growers. Most of this information was regarding BMPs that growers can choose and implement in their fields. As an educator, the most important objective was to communicate research results to the open public, especially to the growers, who are the main target audience of the research being performed to meet the target N load reductions. Can you give us an idea of what kind of research work was highlighted? Dr. Charles Barrett explained in a very demonstrative way how to schedule irrigation using soil moisture sensors (SMS). As well, Dr. Joel Love, who coordinated the Twilight Corn Field Day, provided details about ongoing research on selection of corn varieties (high yielding varieties), fertilizer options and timing. Dr. David Wright provided concise documentation about starter fertilizer placement in no till corn, control release fertilizer in corn, control of nematode population, irrigation and fertilization amounts and timing among others. Overall the research pointed to the optimization of inputs (essentially N and water), as potential BMP options that growers could adopt. Based on your work what presentation was most relevant or useful? MZ: Based on the work we have been ​performing during the last 3 years, I found the SMS demo very interesting and engaging. Sometimes it’s hard to understand what we cannot see. The demo consisted of showing the rootzone in a fully developed corn field trial. A pit was made in order to visualize how deep the roots were growing. As a result, growers and participants were able to visualize that the most active rootzone is concentrated in the top ~0-40 cm. Roots might grow in deeper soil layers, but are mostly concentrated in those top layers. Therefore, irrigation should be managed where plants can take up the water. Large amounts of irrigation result in drainage and nutrient leaching from the rootzone. What do you feel is the most impactful work that is being pursued at NFREC? MZ: The most impactful work being pursued is reaching the balance between profitable agriculture production and environmental protection. This is being realized through the different on-going research projects, as well as future projects, such as a crop rotation with the inclusion of grass and cattle production. -Choosing the right variety for the right place and environment would define the potential yield when it's managed correctly. -Adequate placement of fertilizer would improve the uptake and reduce the losses. Therefore, sidedressing is a practice that would reduce N losses. Different types of fertilizer also are alternatives (litter, cow manure, control release fertilizer, etc). -Adequate irrigation is required in order to keep nutrients in the rootzone and to avoid overirrigation (i.e. greater amounts are applied than needed). -Adequate control of nematodes (especially in a corn-corn rotation) is essential to avoid final yield reductions. Where the first assumption might be N or water stress, in many cases nematodes are the cause (very hard to see/detect). Is there anything I didn't ask you that you think readers should know? ​MZ: I hope all BMP alternatives serve as a cocktail of strategies for growers! ​There is an urgency to take action now. Adopting and implementing BMPs would be beneficial for growers and for the environment. Growers can reduce losses (i.e. input losses and final yield losses), hence increase profits and investments. However, these efforts must come from all sides and angles: from researchers, extension agents, educators, modelers, industry and stakeholders to find that sweet balance among humans and nature. 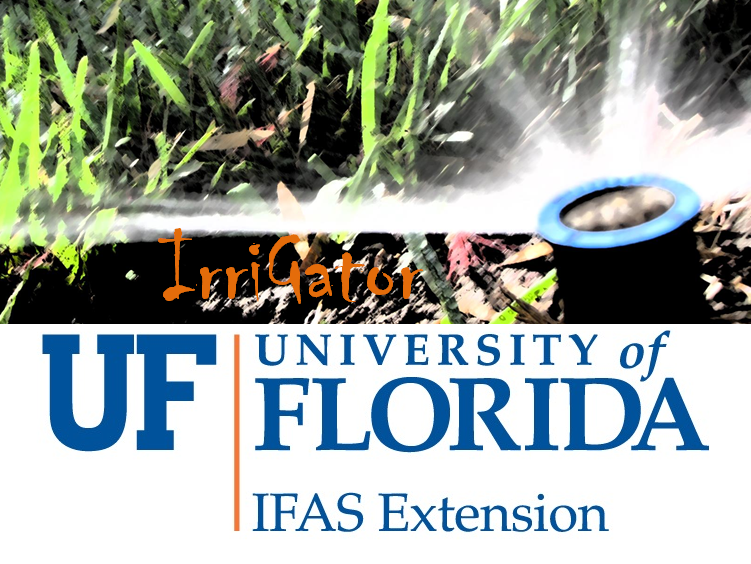 This blog is dedicated to posting the latest agricultural and urban irrigation information developed by the University of Florida IFAS for use by clientele. Blog posts complement the UF/IFAS IrriGator extension program. Questions or concerns should be directed to Kati Migliaccio.